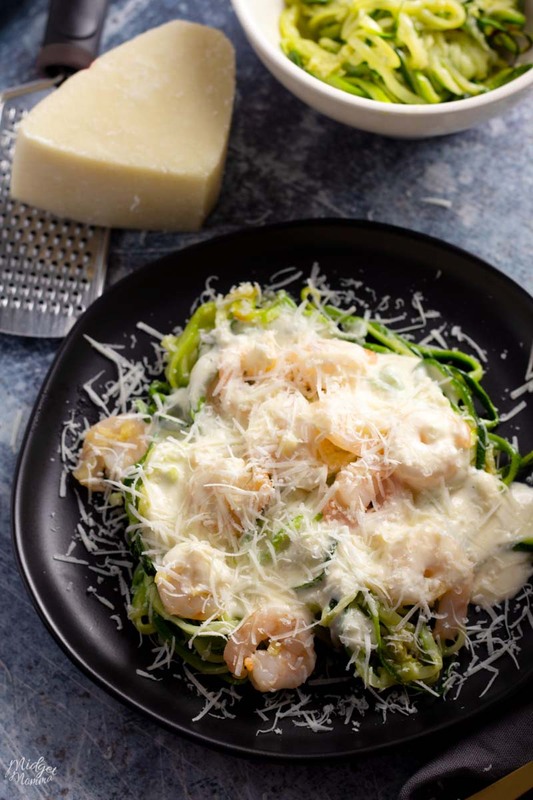 This Shrimp Alfredo Recipe With Zoodles is the perfect low carb and keto option to the amazing Shrimp Alfredo Pasta that so many of us love. 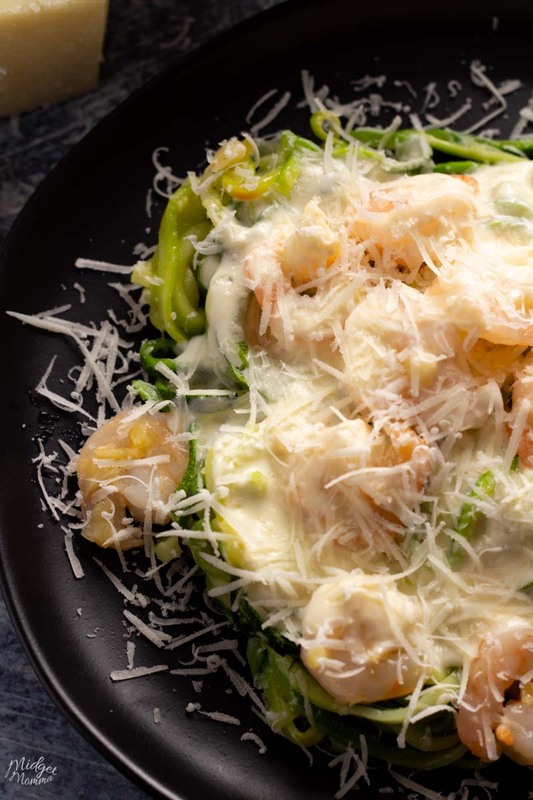 This Shrimp Alfredo Recipe keeps the carbs low and the flavor delicious. Pasta has always been my go to for meals that make my family happy. There are so many different pasta dishes that I can make that the whole family love, but of everything I make Alfredo is always the favorite. Weather it is Shrimp Alfredo Pasta, one pot chicken alfredo, or my Olive Garden Alfredo Sauce Recipe over pasta. I have made quite a few recipes that taste amazing to replace the carb loaded pasta dishes we love including; Chicken and Broccoli Alfredo Spaghetti Squash, Chicken Pesto Spaghetti Squash, Chicken and Broccoli Alfredo, Spaghetti Squash Lasagna, Shrimp Scampi Spaghetti Squash and Chicken Parm Spaghetti Squash. These are dishes that I make often for our house and ones that everyone loves. 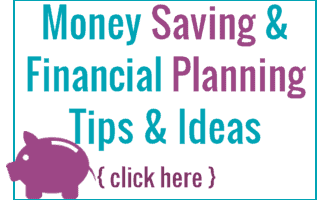 But having a large amount of Low Carb and Keto Alfredo dishes already in my meal lists doesn’t stop me from coming up with more ways to have tasty low carb and keto recipes to change out with the pasta dishes we love. Really I don’t think there is ever such as thing as to much alfredo sauce recipes, the sauce is such a flavorful sauce! Homemade zucchini noodles, aka zoodles is my other go to after spaghetti squash when making pasta dishes we love low carb and keto friendly. 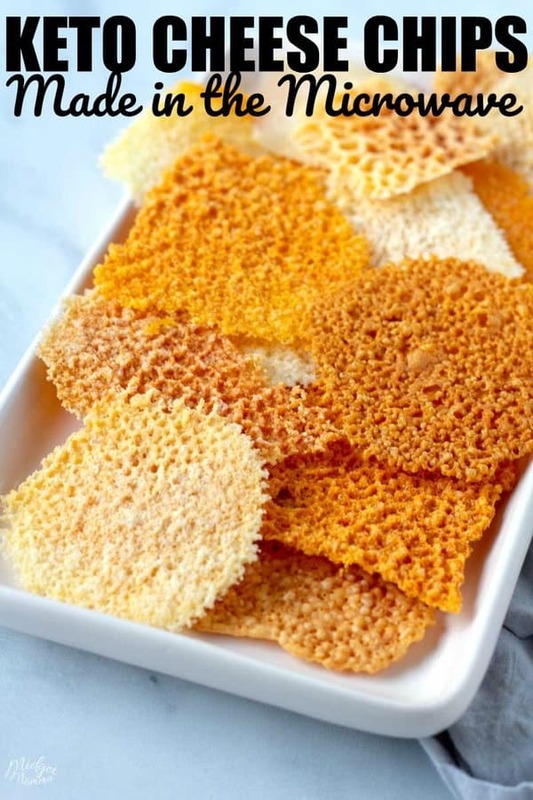 They don’t taste like pasta but they are perfect for getting the “swirling of noodles” that is so much fun to do with a fork when you are eating pasta. If you have never made homemade zucchini noodles, aka zoodles you might be a bit nervous, and I totally get it. But I can tell you that they are super tasty! 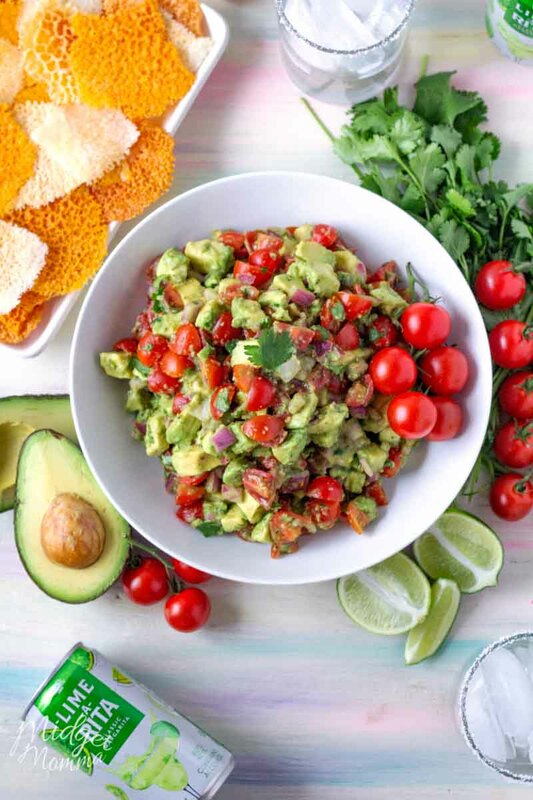 If you are a pasta lover who is going low carb or keto looking for a solution, zoodles might be just what you are looking for. 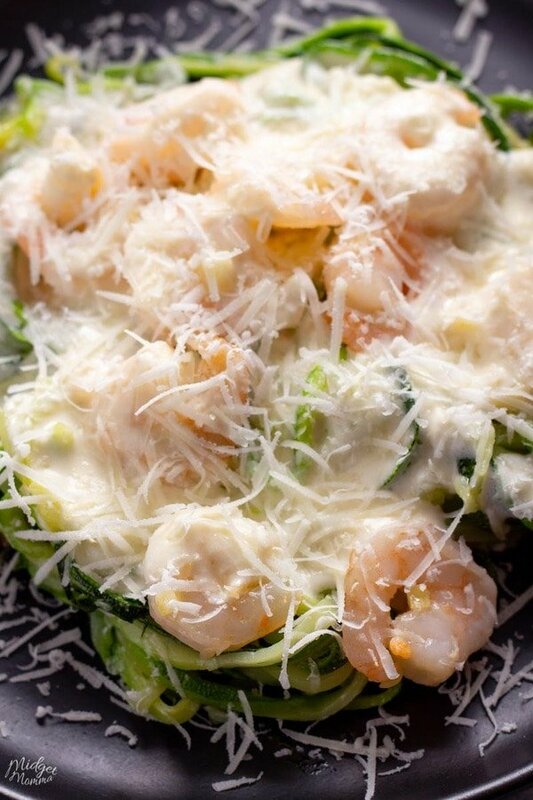 Although even if you are not eating low carb or keto and are just looking for a tasty healthy Shrimp Alfredo Recipe this one is perfect! I know that when you are making a recipe that involves things like zucchini it can be difficult to know what size you should be grabbing. 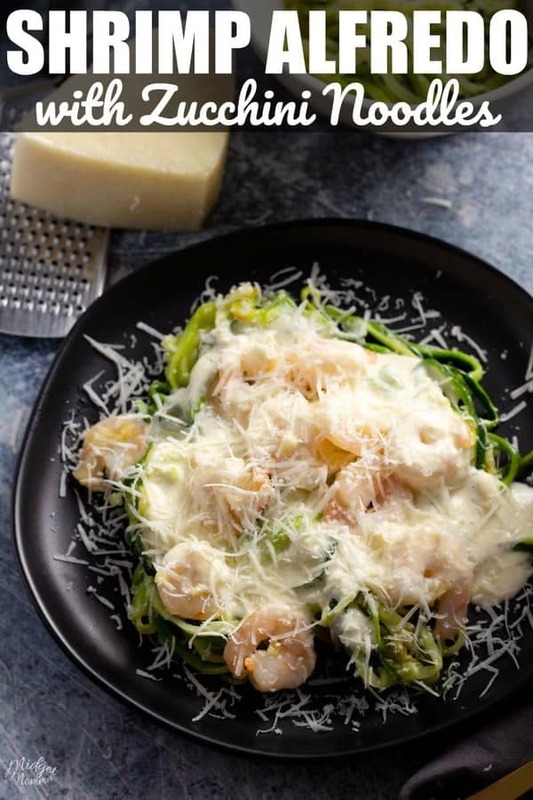 For this shrimp alfredo recipe with zoodles, you will want to use 2 medium zucchinis per serving(this recipe makes 4 servings). A medium zucchini will net you roughly 2 cups of zucchini noodles, which has just 33 calories, and just 4 net carbs (6 grams of total carbohydrates and 2 grams of fiber) per medium zucchini. To make zucchini noodles you do need a Zoodle spiralizer, there are quite a few different options that you have for this, a KitchenAid Mixer spiralizer attachment, a handheld spiralizer and a counter top spiralizer are a few options, but just go with what works best for you. 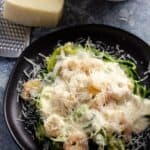 Shrimp Alfredo Recipe with Zoodles is the perfect low carb and keto option for the amazing comfort food normally served with pasta. Clean your zucchini and spiralize your zoodles. Toss your zoodles with olive oil and Spread your zoodles onto a sheet pan in an even layer. Bake until the zucchini has softened, about 10 to 15 minutes. While zoodles are cooking it is time to start making your sauce. Place 2 tablespoons butter, shrimp and garlic in a saute pan over medium heat until the shrimp are pink and remove from pan, set to the side. Melt butter and cream cheese in a saucepan over medium heat. The cream cheese might look a bit strange, but stir it till you have it as smooth as you can get it. Pour in the whipping cream and turn the heat to medium-high. Whisk together until butter and cream have combined and until the sauce bubbles slightly. Add Parmesan cheese and garlic powder and stir until everything is mixed well. 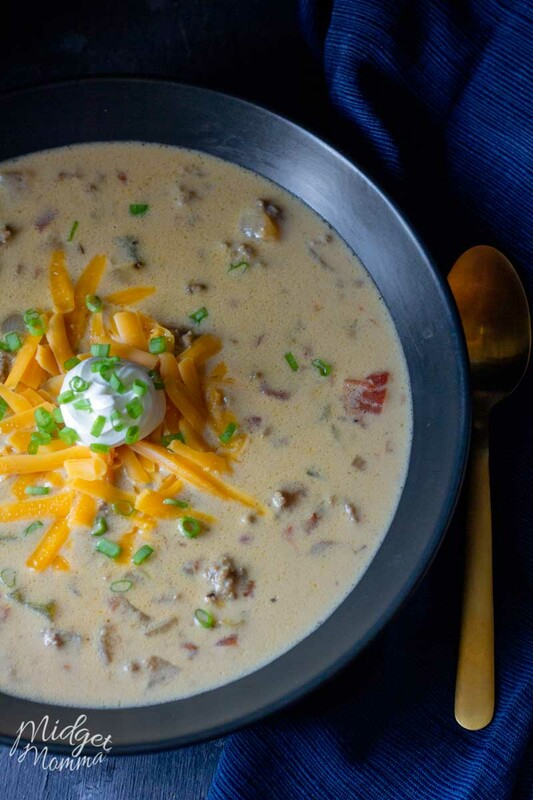 Turn off the heat, the sauce will thicken as it cools a little. 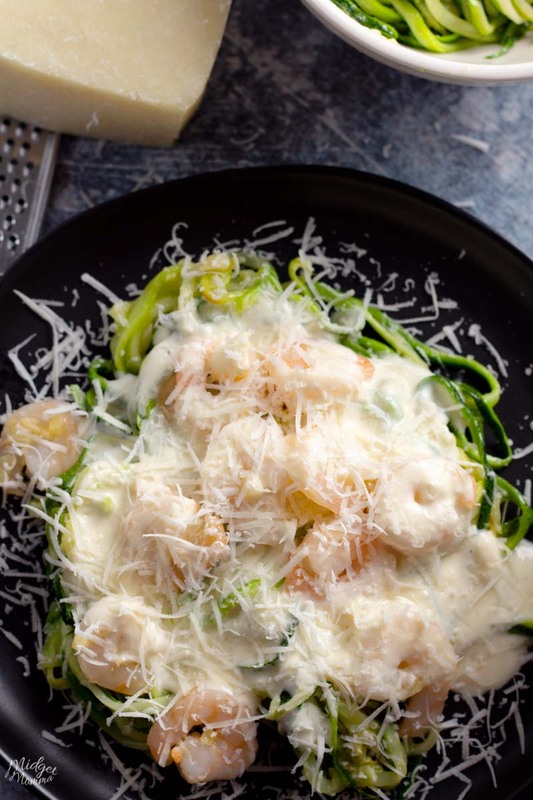 Place your zoodles on each plate and top with the shrimp and alfredo sauce. Serving size in this recipe for the zoodles is roughly 1 cup of zoodles, which is 1 zucchini but also depends on the size of your zucchini that you use. We always end up with extra sauce, if you are looking to lower the calorie count, then lower the amount of alfredo sauce you use on top of your zoodles.